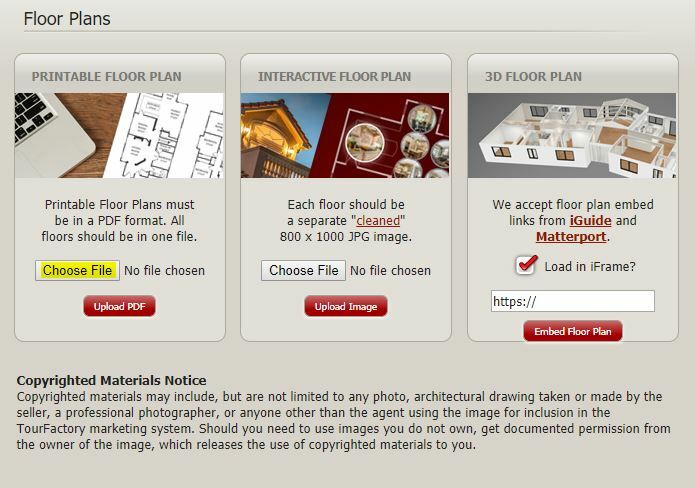 On the left side, click the grey tab labeled “Floor Plans”. 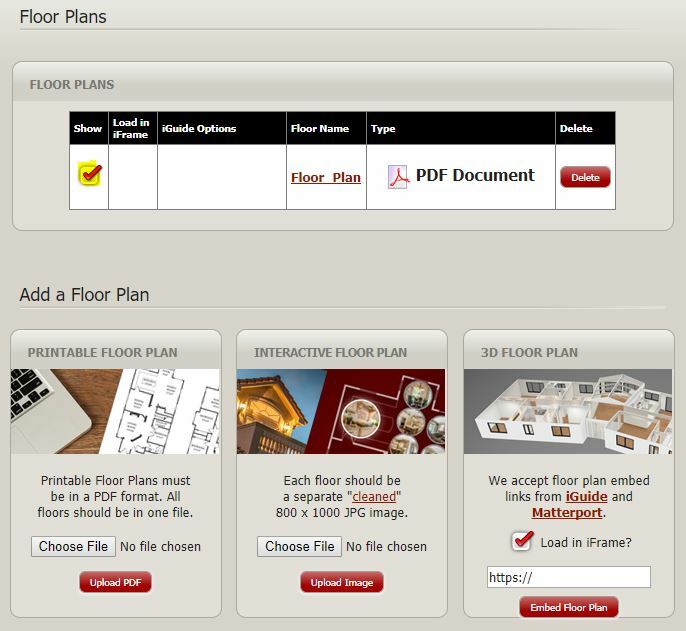 Select “Choose File” under Printable Floor Plan. Please note: To add a 3D or Interactive Floor Plan, you’ll need to contact your local representative or call customer service at 888-458-3943. Browse your computer for the PDF file. Select the file and click Open. 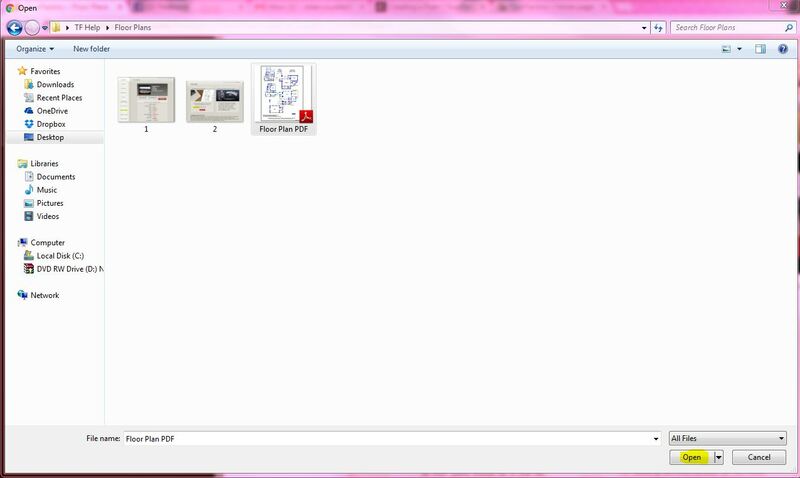 You will then see the file name. Click the red “Upload PDF” button. 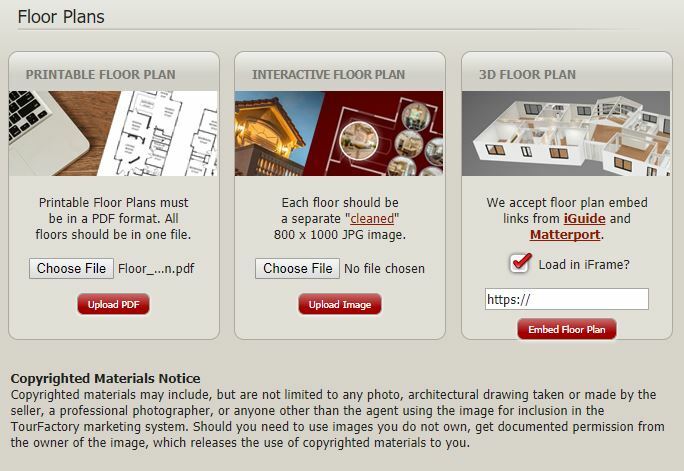 Your Floor Plan will now be listed on the Floor Plans tab. 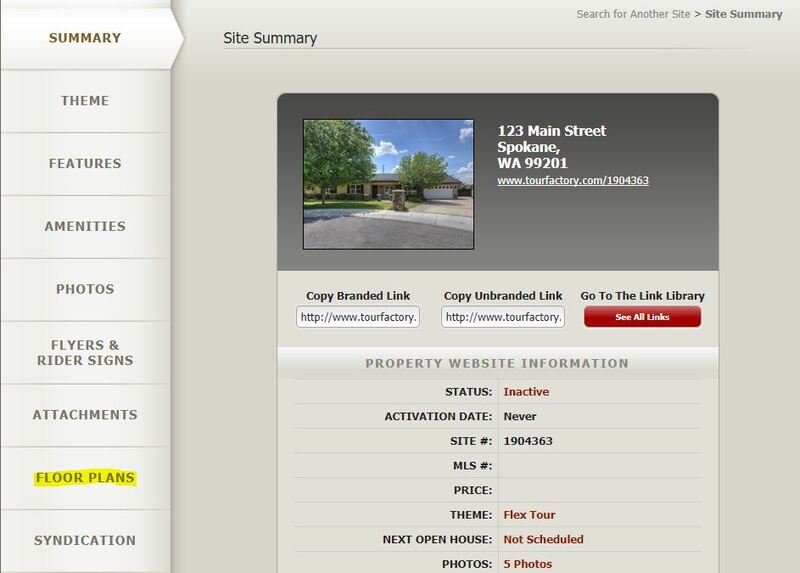 Make sure the box is checked to show on your property website.